SEGA is providing a free update to everyone who owns any of their classic titles, e.g., Golden Axe, Gunstar Heroes, or Streets of Rage 2, on Steam. Next Thursday, April 28, the SEGA Mega Drive Classics Hub will be pushed out as a new way for you to launch any of the games you own from a setting that may be all too familiar for some of us. 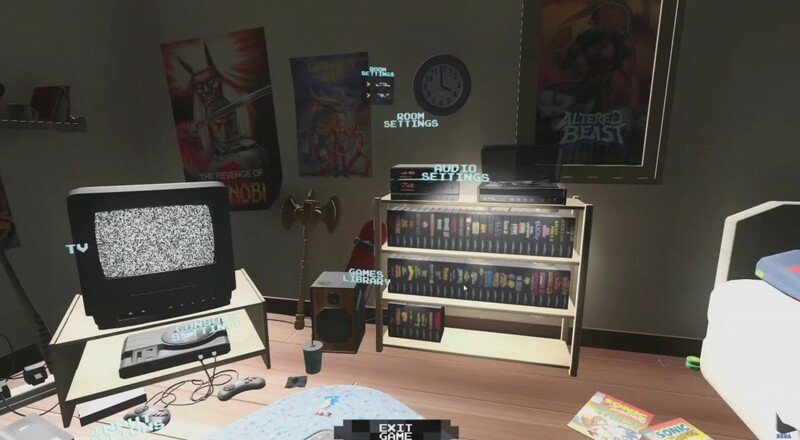 This new hub is set in a bedroom based on the design aesthetics of an "early nineties SEGA fan." There's a CRT on a TV stand with the console hooked up underneath, a bookshelf where you can display all your games, and posters from your favorite SEGA titles. Also, a complete lack of daylight, which perhaps best captures the gaming aesthetics of the day. This will replace the existing hub that comes up when you launch a game from Steam and it also adds a couple of enhancements to the emulation software being used to run those titles. It's worth nothing that any games that currently support local co-op will continue to do so in this new hub. You can check the SEGA news post for the full list of titles that will be supported. Page created in 1.3819 seconds.